In the story of Chicken Little, the townspeople ignored the little guy because they just did not believe him that something serious was happening. After the acorn fell on his head, and he panicked, and sent the town into a needless frenzy, they just did not believe he was credible, when the real danger finally came. I’m not Chicken Little, yet I am only one among a growing number of Nazarenes who are saying that in many ways, “the sky is falling.” Something serious is really happening, and has really been changing the essence of the Church of the Nazarene for quite a while now. It’s been happening in incremental, little baby steps. Like slowly poisoning someone to death over a long period of time. Or perhaps like the frog in the water slowly heating up, and then its too late when he realizes he’s getting cooked alive. This 14-week devotional book includes daily scripture readings from the Old Testament and New Testament, prayers, and each Sunday, a small sermon with journaling space.This book is specifically designed to be used, either individually or for small groups, from Ash Wednesday to Pentecost. Sounds good: a devotional book for Nazarenes to use for spiritual guidance, and it does have some very good lessons in it, from what I hear. But, note the emphasis on Ash Wednesday. As a life long Nazarene, I find it odd that only in the last year or two have I been seeing such a consistent reference to Ash Wednesday or to Advent season, or Lenten season, or other such terms, in a way that I never heard once while my father was pastoring for many years, or a couple of the other pastors I had after he retired. It’s only in recent years that these terms have come into greater use, and the question is, why? If you recall in previous posts, it has been my suspicion that the Nazarene denomination is slowly being “Roman Catholicized”, and here is another smoking gun. If you read the first lesson in the book, some of you will recognize that the concern goes beyond just referring to Ash Wednesday, which the writer of the lesson admits is not mentioned in scripture. I have not read the book, but I do have an excerpt from that first lesson. Now this book was the result of a collaboration where several authors contributed to the compiling of the lessons, so I cannot tell you which of them may or may not approve of a blatant promotion of a Catholic ritual, and perhaps some were not even aware of this chapter and its reference. Contributors include General Superintendent J.K. Warrick, Russell Metcalf, Woodie Stevens, and others. Why ashes? Ashes in the Bible are a sign of mourning or humility before the holiness of God (see Daniel 9:3; Job 42:6; Jonah 3:6; Matt. 11:21). The Ash Wednesday service for many denominations involves the reading of Scripture, perhaps a very short message outlining the journey to Good Friday, Easter, and beyond. People are then invited to come forward and the pastor marks a small black cross with ashes on each person’s forehead. Traditionally these ashes are from the burning of the previous Palm Sunday’s palms, mixed to a light paste with pure olive oil. Often the service includes Holy Communion. Do we need to follow a certain ritual? No. But neither do we need to reinvent the wheel. If your church wants to begin an Ash Wednesday observance, a good place to start is with discovering what is good in established traditions. We can approach these sacred times that belong to all the church with humility and reverence. In them we can realize an opportunity to deepen our awareness of God’s forgiveness and purifying presence. Thus, an Ash Wednesday service invites us to humble ourselves before God as we prepare to follow in the steps of Jesus all the way to Calvary. We have two biblically ordained “rituals” given to us in the New Testament, communion and baptism. And so now, putting ashes on the forehead, a Roman Catholic ritual, has gotten the blessing of the official publishing house of the Church of the Nazarene. But there is also a promotional video that NPH has put on the web. Pay close attention to the final few seconds of this two minute promo. If it does not shock you at all, then I don’t know what else to say to you. If it does bother you, well, don’t expect this to be the end of it. Expect more Roman Catholic rituals to come into our denomination, along with all the emergent heresies and Bible doubting professors and pastors, because frankly, this all seems to be out in the open, with very little objection at this point. You will also see video thoughts on this program by Pastor Carla Sunberg, Pastor Jeremy Selvidge, and President Bowling of Olivet Nazarene University, and perhaps others. Is Dr. Bowling and these pastors aware of this first chapter and what it promotes, and if so, what is their position on it? 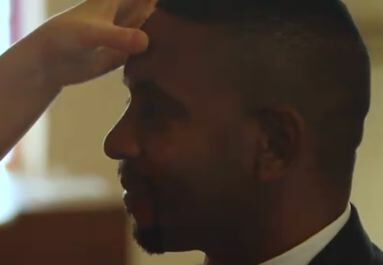 Has the placing of ashes on the forehead occurred at any of the chapel services at Olivet or any other Nazarene university? What I do know is this, whoever put this together at the Nazarene Publishing House is certainly aware of the contents, and they need to explain why this little bit of leaven was inserted into a devotional book for Nazarenes. Perhaps this is why I pick and choose very carefully the devotional books I might read, and why the Supreme devotional book, and the only one we really cannot afford to do without, is God’s Holy word. No matter how fine a devotional book, there is none that is absolutely necessary for our Christian faith and practice. None at all. Dear General Superintendents: You each were charged with a big responsibility of leading our great denomination, and part of that is to lead by example. So what do you say of putting ashes on our foreheads in the Church of the Nazarene? What is your view of the seeming Roman Catholization of many of our churches and universities? What will be tolerated or not tolerated as we seem to continue down the road to Rome, and the leaven continues to grow? What is “essential” or “non-essential?’ Is it that the “essentials” is not just agreeing on a core statement of beliefs; but the “true essentials” is full obedience to the Lord and all that He teaches and commands. I just want to know how far this is going to go. Many Nazarenes have already made that decision, and they no longer fellowship with us, precisely because of things like this that have been coming in.